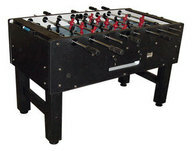 The OG is one of the newer models made by the Performance Games company and resembles the older ES model. 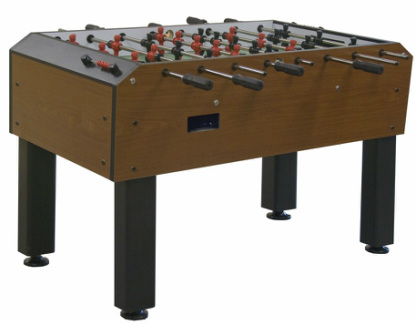 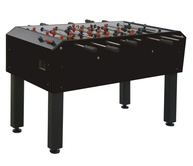 It offers a three man goalie with a flat playing surface, side ball returns, octagonal handles, adjustable leg levelers, and manual scoring units. 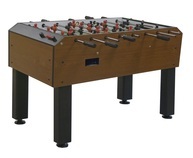 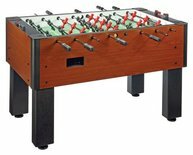 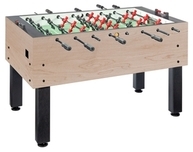 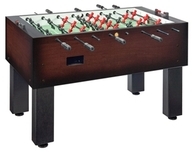 All of these features make this table a little more pricey and it is probably not a good option if you are looking for a table the kids want to beat up and just spin the rods on.